Sands Point South is located on the river and within walking distance of the beach. 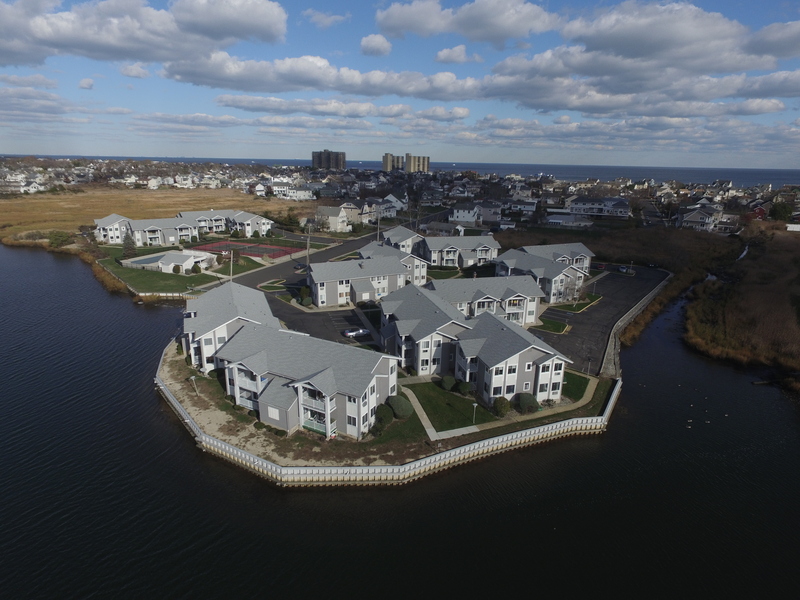 Sands Point South is a pet-friendly community of apartment style condominiums located on the Shrewsbury River at the end of Valentine Street. Built in 1975, there are 58 apartments, equally divided between one and two bedroom layouts. The two bedroom models are between 1050 and 1100 square feet, each with two baths and the one bedroom models are between 850 and 900 square feet, each with one bath. 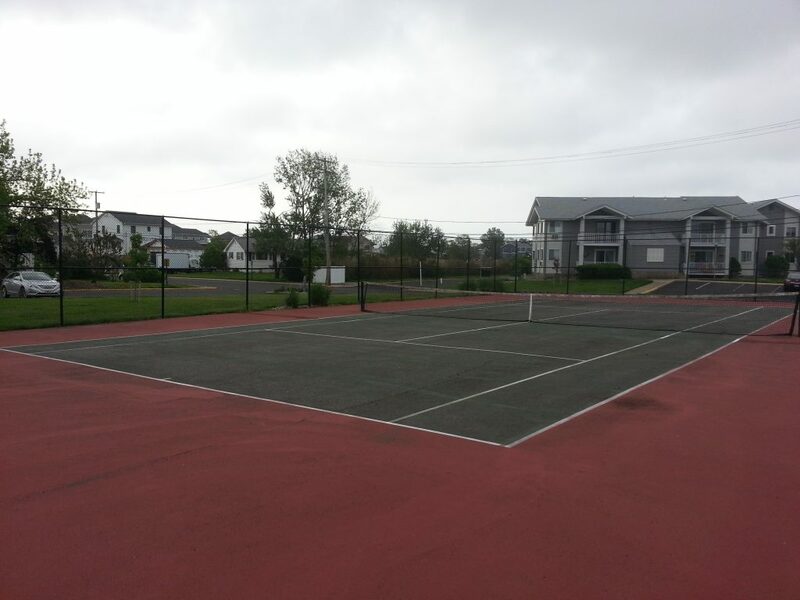 The amenities include a riverside pool and tennis courts and at the other end of Valentine Street is the Monmouth Beach Bathing Pavilion. Beach lovers will like that Sands Point South is less than a half mile from the Monmouth Beach Bathing Pavilion and popular Pier Village in Long Branch is just two miles away. 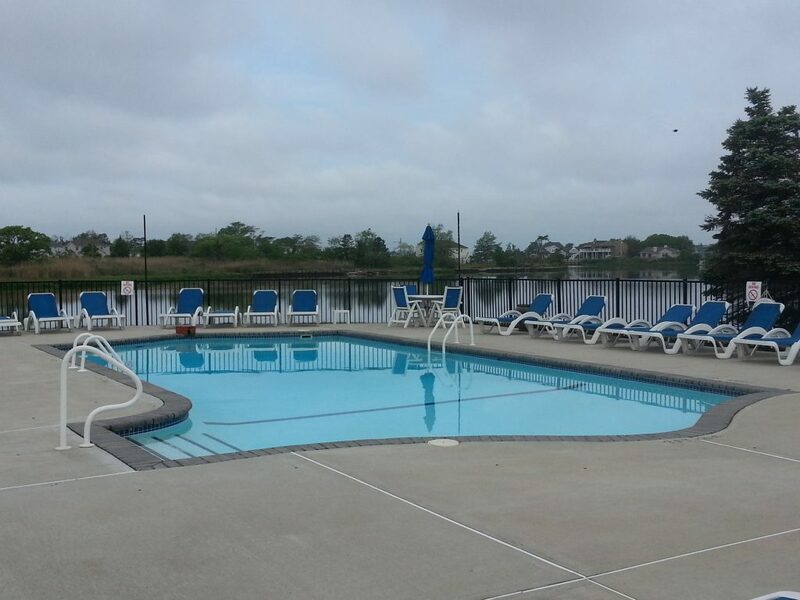 The Sands Point South community pool overlooks the river. Sands Point South has a tennis court right by the pool.